While, in nature, changes of morphology such as body shape, size, and strength play essential roles in animals’ adaptability in a variety of environment, our robotic systems today still severely suffer from the lack of flexibility in morphology which is one of the most significant bottlenecks for their autonomy and adaptability. With the ability to autonomously modify own body shapes or mechanical structures in surroundings, robotic systems could achieve a variety of tasks in flexible and simple manners. 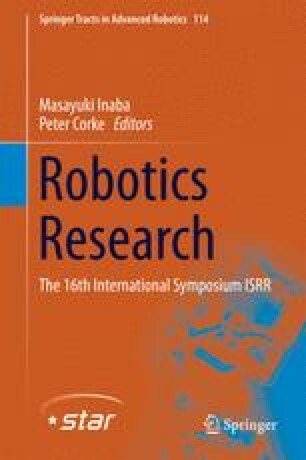 For this reason, we have been investigating technological solutions based on a class of unconventional material, the so-called Thermoplastic Adhesives (TPAs), with which the robots are able to construct their own body parts as well as connecting and disconnecting various mechanical structures. Based on our technological exploration so far, in this paper, we introduce the concept of “solving-by-building” approach, in which we consider how autonomous construction of mechanical parts can help robots to improve performances or to “solve” problems in given tasks. Unlike the conventional adaptive systems that can only learn motor control policies, the ability to change mechanical structures can potentially deal with a significantly more variety of problems. By introducing some of the recent case studies in our laboratory, we discuss the challenges and perspectives of the solving-by-building approach based on TPAs. This research was supported by the Swiss National Science Foundation Professorship Grant No. PP00P2123387/1, the Swiss National Science Foundation through the National Centre of Competence in Research Robotics, and the ETH Zurich Research Grant ETH-23-10-3.